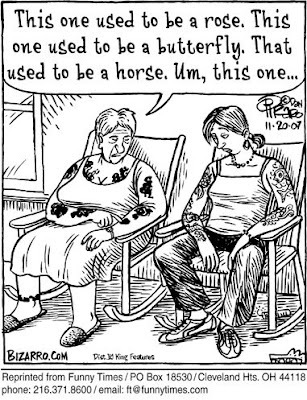 Nancy's Nook : For all of you tattooed folk . . .
haaaaah! i hope not. and even if that does happen, mine is pretty hidden.